Hull is a growing town, but it’s small enough that everyone knows each other. Hull is known to be full of friendly people who care deeply about their community. Situated amid fertile farmland and beautiful landscapes, the town of Hull is a perfect picture of small town life. 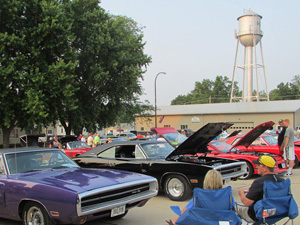 The City of Hull is a growing community in Northwest Iowa. 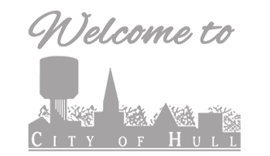 Hull’s growth comes from being highly progressive in areas of parks, library, fitness, recreation, business growth, and general upkeep of the streets, sewer and water system. The facilities in Hull provide its community with a great environment. Hull has many thriving businesses and an able and energetic workforce. The seven churches in Hull provide a place for spiritual growth community and connection. Hull’s business district is the best in the area and includes everything needed to enjoy a productive and healthy life. A thriving community library provides a wonderful asset to the community and the restaurants in Hull seems to be available just blocks away for each community member. We personally invite you to see our exciting vibrant community. Come and enjoy our new updated parks, library, and fitness center. Shop our friendly business district and come to one of our exciting community celebrations of Summerfest or Winterfest.